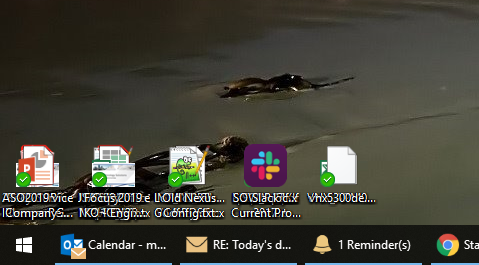 When I have an external monitor connected to my laptop, if I use the sort functionality, for example, sort by modified, all the icons stack on top of each other. 1) Laptop screen resolution and scaling applied. 2) External monitor resolution and scaling applied. 3) How your "Layout auto-adjustments" setting look like. Reboot and report back here , please . Also, is there a reason you are keeping Windows on and old version? Sorry to hear you have issues. Have you try solution suggested in reply3? Try it and let us know .